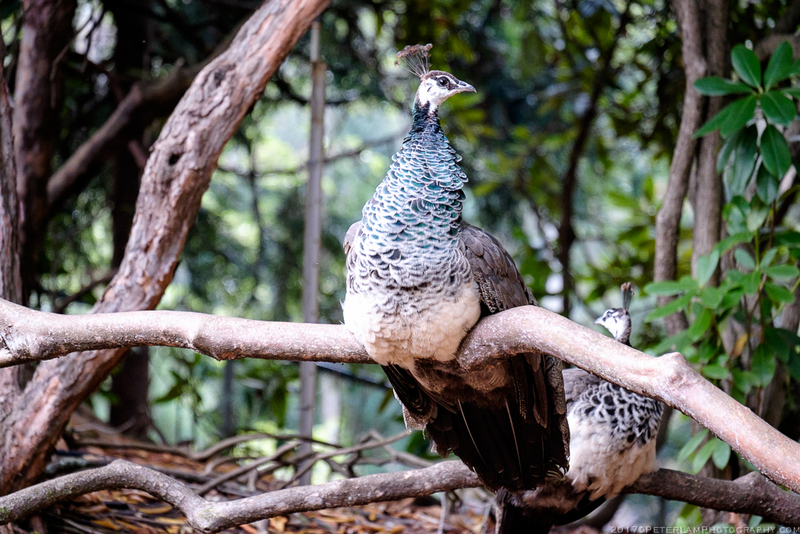 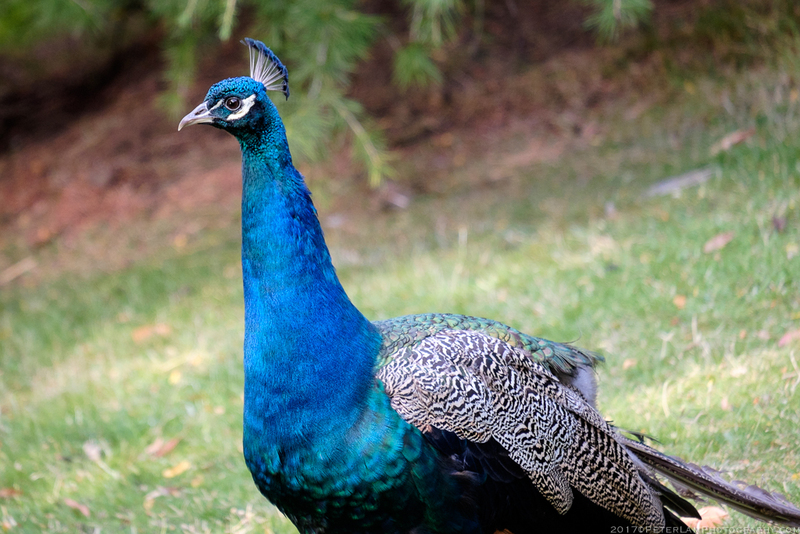 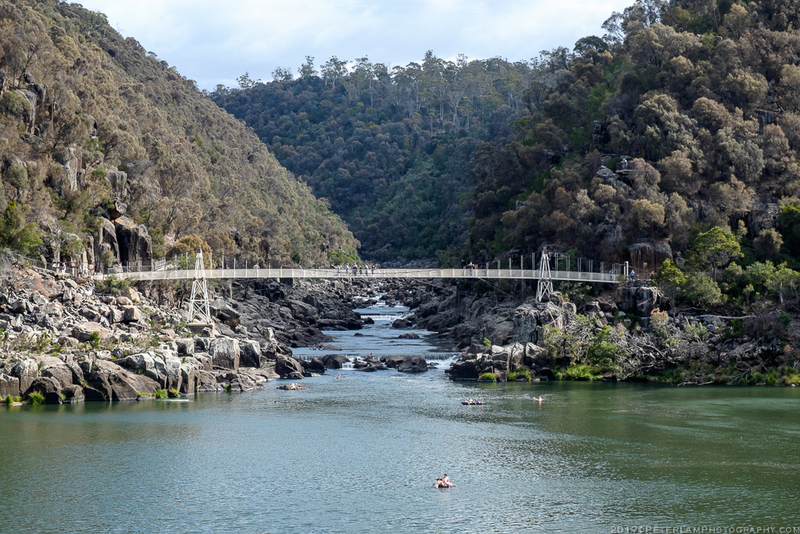 On the first day of our roadtrip, we arrived at Tasmania’s northern city of Launceston, picked up our rental cars, and had a hugely satisfying lunch at a local cafe. 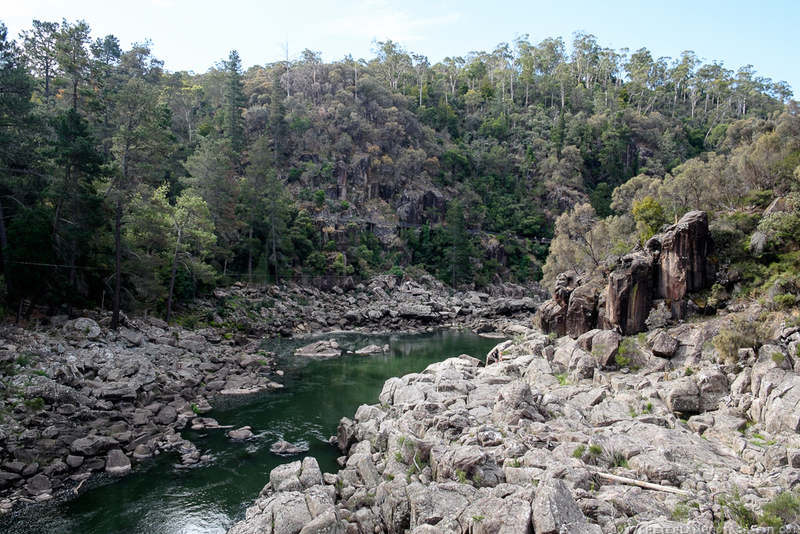 The main attraction for the afternoon was the Cataract Gorge Reserve, or simply “The Gorge” by the locals, a unique natural formation just minutes from the city centre. 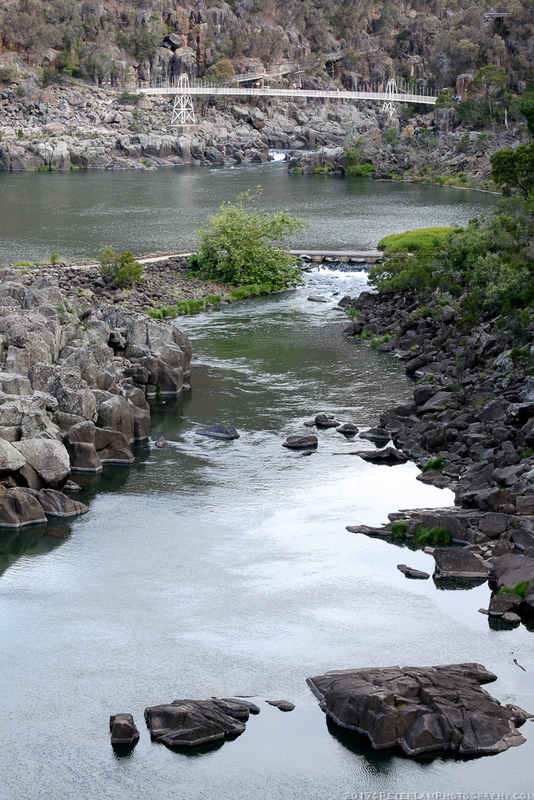 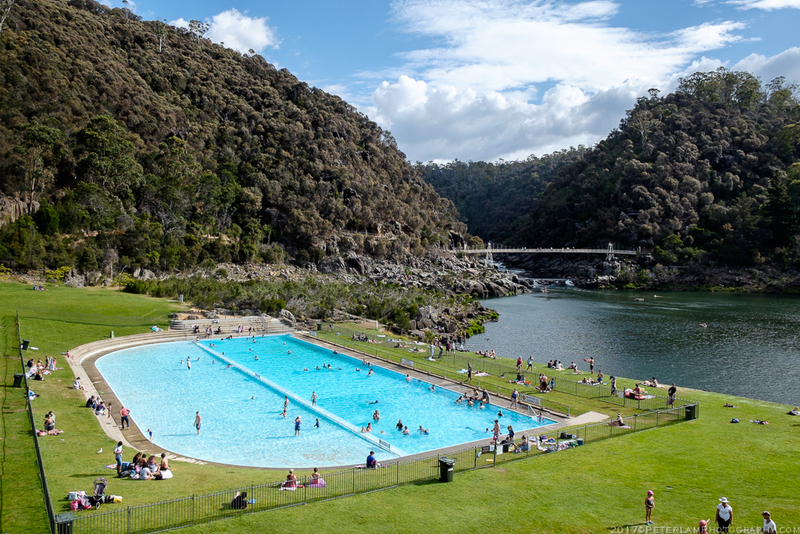 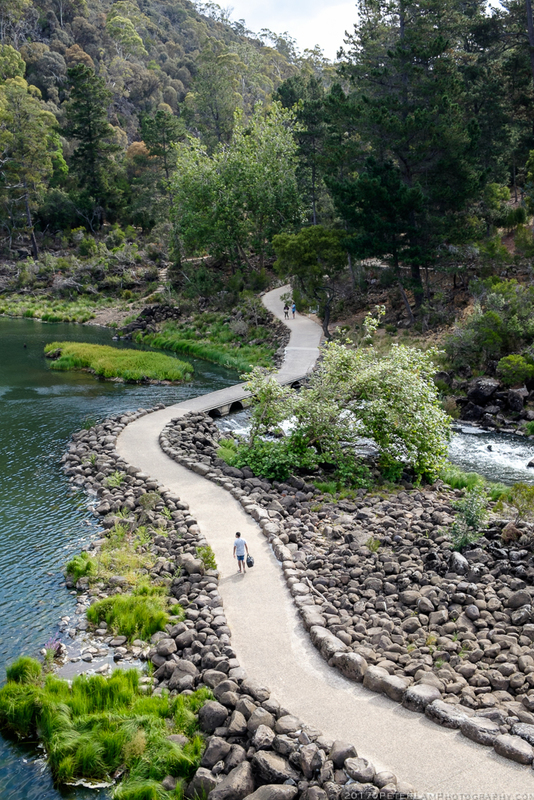 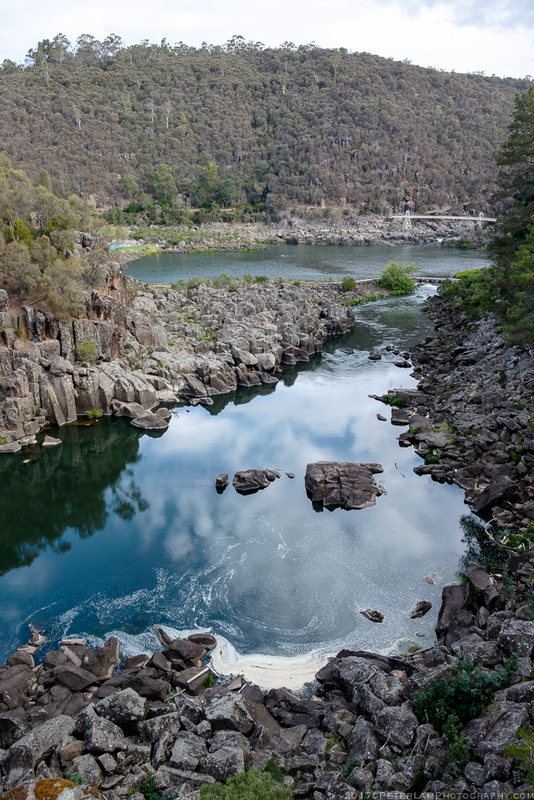 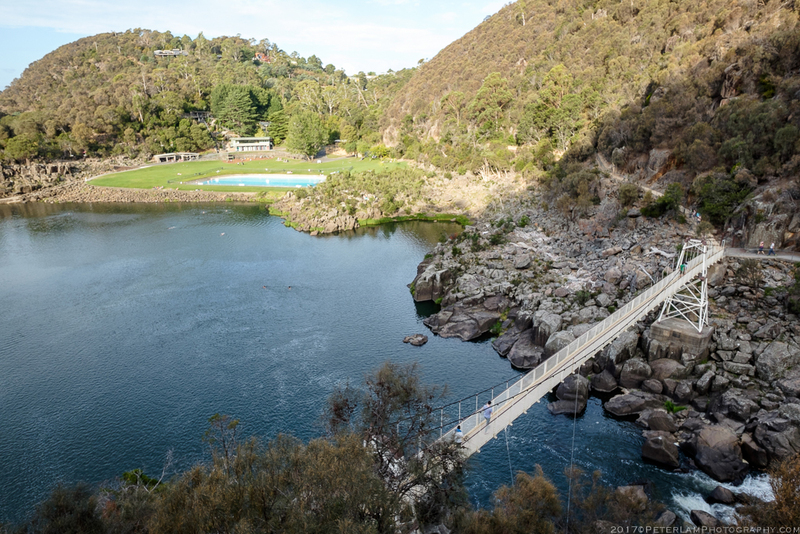 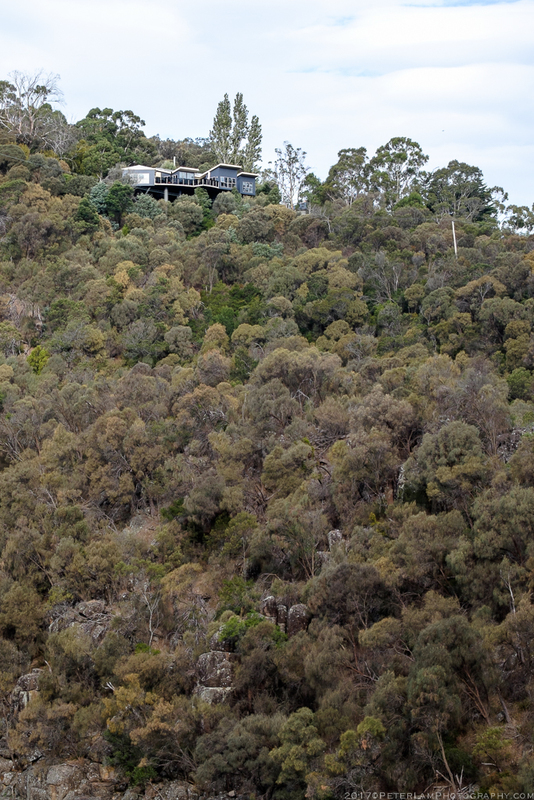 This beautiful river gorge is Launceston’s top tourist destination, and entrance is free! 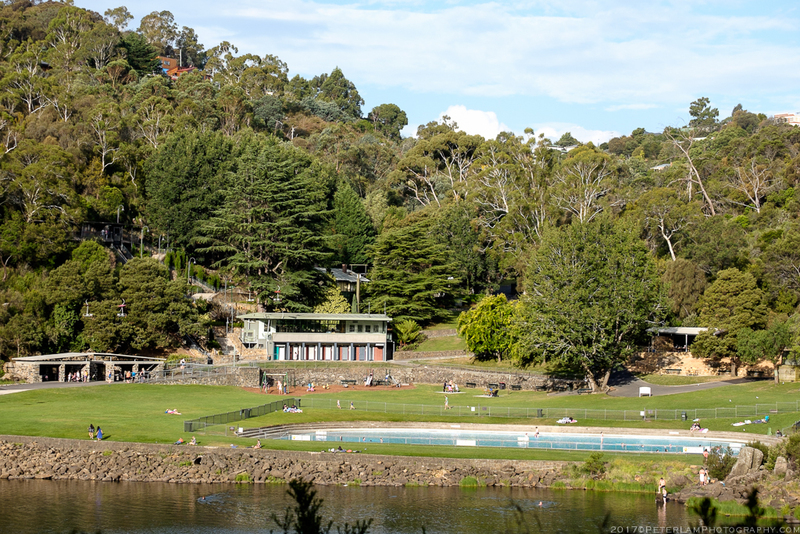 Located on the lower section of the South Esk River, the main area of reserve consists of the First Basin on the southern side which includes a public swimming pool and lawn area. 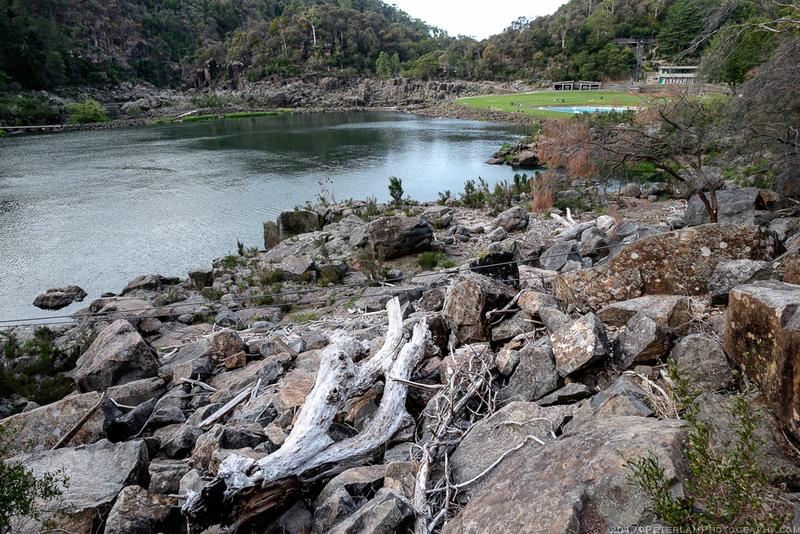 This is a popular spot for picnics, barbeques or just catching some sun. 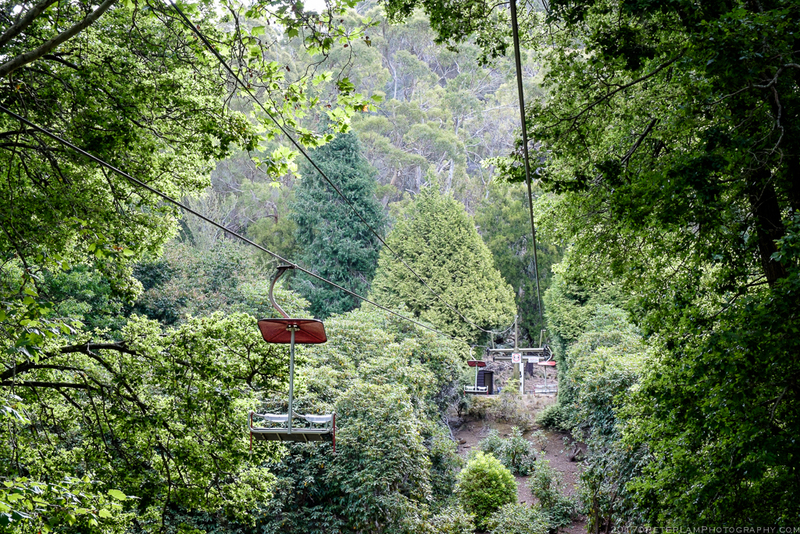 Here is also the start of a scenic chairlift (with the world’s longest single span at 308 metres) that will take you across to the northern side of the gorge, the Cliff Grounds, where there is a landscaped Victorian garden and a number of hiking trails that run up and along the cliffside. 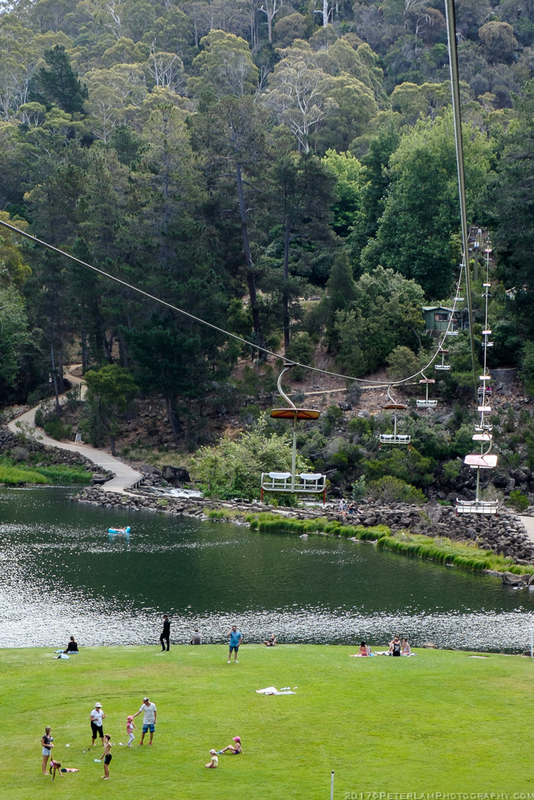 The paid chairlift ride lasts a few minutes and is a great way to get a birds-eye view of the park. 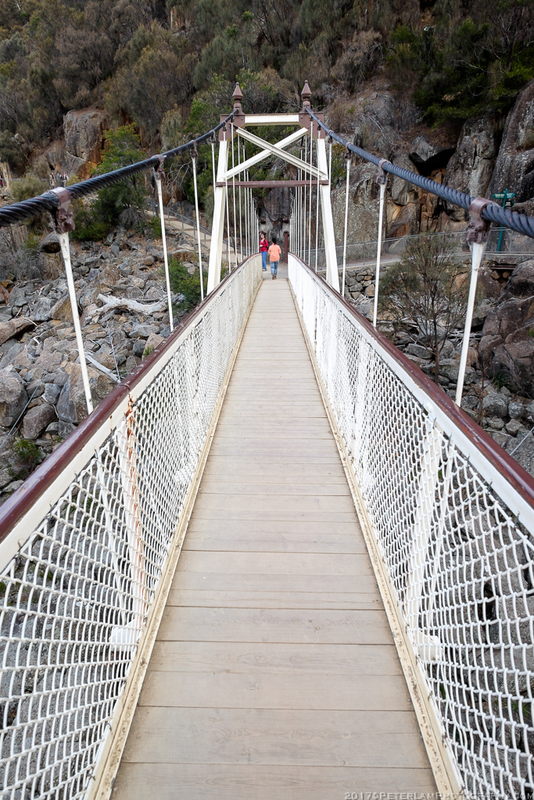 After taking a short hike to the Eagles Nest, the highest viewpoint in the park, we made our way back to the south side via the Alexandra Suspension Bridge.